RoseArt Creative Cafe Frappe Maker GIVEAWAY! I received product to facilitate this giveaway. All opinions are my own. 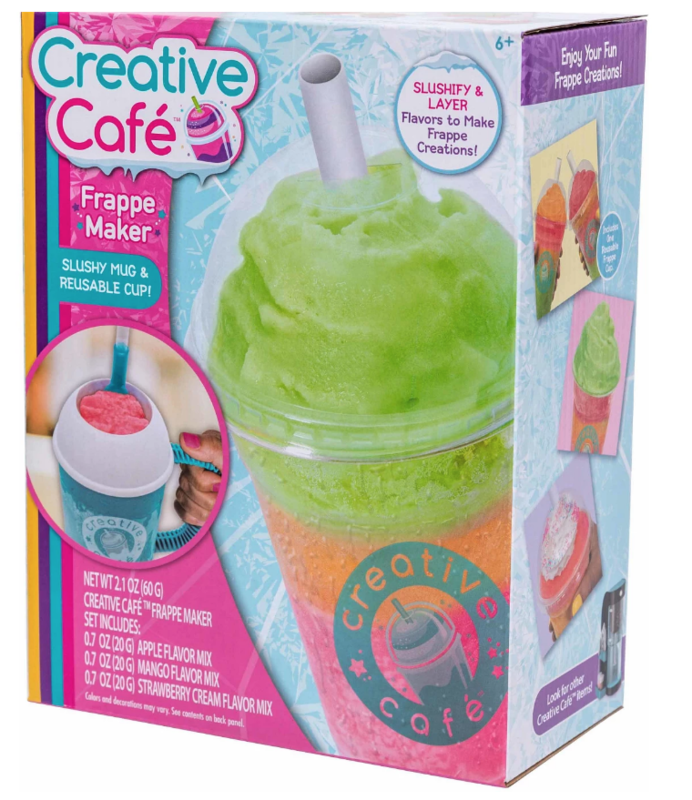 It’s time to let the kids dazzle their friends and family s they create delicious tropical treats with this Creative Cafe Frappe Maker. This fun set comes with a Frappe Maker freezer cup, reusable straw with spoon, reusable frappe cup with lid, strawberry cream flavor mix, apple flavor mix, mango flavor mix, and instructions. This kid safe set requires no heat and is perfect for ages 6 and up. A super fun activity, the bold flavors will keep everyone coming back for more! One lucky Emily Reviews reader will win their very own Creative Cafe Frappe Maker! This giveaway is open to the Continental US only, just enter the widget below for your chance to win. Good luck! Looks like a fun toy that really makes stuff. I wonder where you can buy refills?